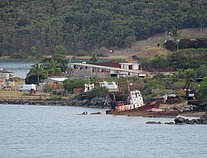 It was owned for a period by Pimco Shipping Pty Ltd, Rabaul, who at the time also had the converted steam tug, former Australian KARLOCK; and from ragged memory think HERCULES had steerable nozzles, not Z-drives. On 1994, during a voyage from Nouméa to Vanuatu, her master, alone on the bridge, fell overboard, at mid-way. The crew realized later that something was wrong. The captain swung during many hours, and was able and lucky enough to touch a Vanuatu Island the next day. In a shark-infested area ! there is quite a fleet of retired tugs here in Noumea. will post some more soon. 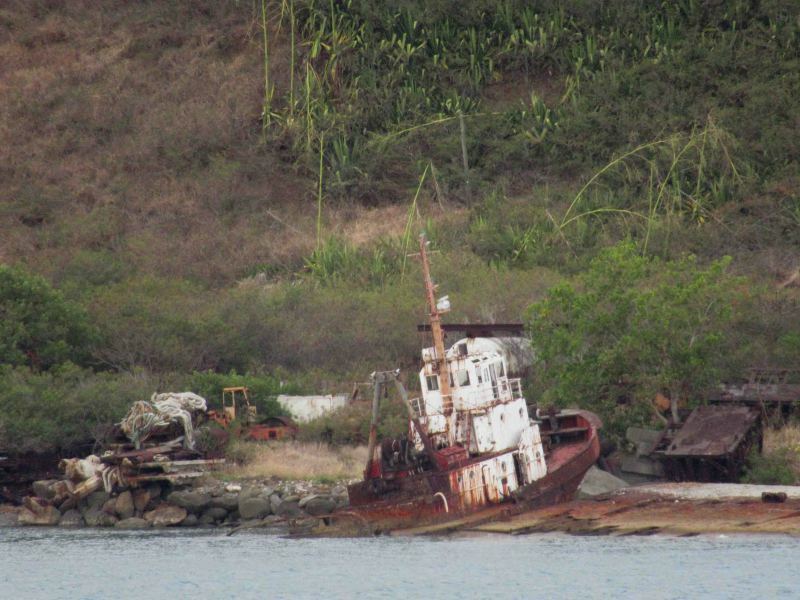 This wreck is the HERCULES (IMO 7126023). Several other photos are on the site. Are you in Noumea, Dirk? It looks like the local wrecks have changed some since I was there in the 1970's. This one, I'd guess, is a Japanese-built Z-drive tug. Japan was well ahead of the rest of the world in this technology, and their first couple generations have now been sold to other owners as they continue their advancement.